Mr. Andrews began practicing law in Texas in 1991, and, over the past 25 years, he has earned a reputation as one of the state's leading personal injury lawyers. 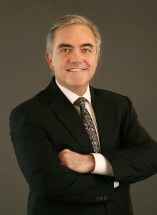 In fact, the Texas Board of Legal Specialization recognizes him as a board-certified personal injury attorney. If you or someone you love suffered injuries due to the negligence of another, the law firm of Jerry D. Andrews, P.C., can help you pursue the compensation you need to ensure your or your loved one's recovery, and future financial stability. If you would like to find out more about why our firm is a recognized leader in North Texas, you can do so by scheduling a free initial consultation at our law office in Dallas.